Something Rotten!” comes to laugh at Shakespeare, not to bury him. Plus, Shakespeare is actually in this show, and the character is about as far from the semi-deity we’ve made him into today as you can get. In this incarnation, he’s an eccentric, self-absorbed, idea-stealing, metallic-leather-pants-wearing, pompous rock star. So when I get a chance to talk by phone with Richard Spitaletta, who plays a far-less-well-known writer in the show, I ask what he thinks of good ol’ Will. And I’m a little surprised by the answer. “I was a theater major, so I suppose I’m somewhat genetically opposed to hating Shakespeare, but I’m not a diehard fan,” he says. Excuse me? An actor not tripping all over himself to gush over the English language’s greatest wordsmith? I like that kind of honesty. Spitaletta, a recent Penn State musical theater grad, laughs. “I like acting in Shakespeare’s plays more than reading them,” he says. 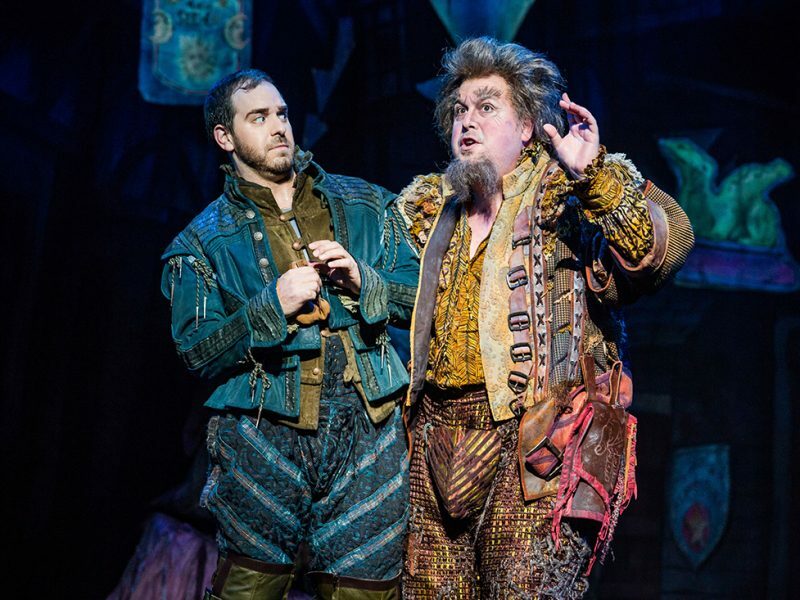 Before going any further, I’m sure there are local theater fans who feel as if they’ve already read a lot about “Something Rotten!” but can’t quite remember why. 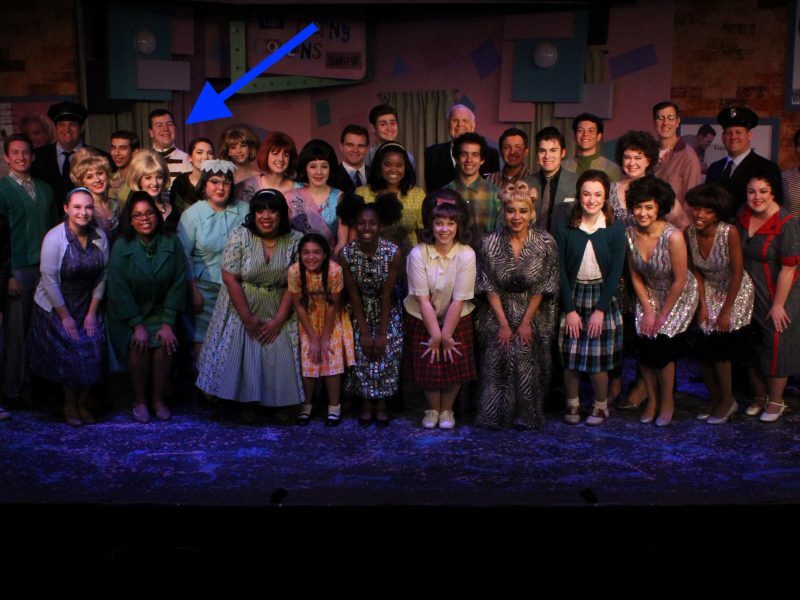 It’s because Fresno favorite Heidi Blickenstaff (a former Good Company Players child star) originated one of the leading roles in the show when it opened on Broadway in 2015, and I ended up writing a lot about it. (I even did an interview with her from her dressing room at the St. James Theatre.) The production, which had a healthy run in New York, was a crowd-pleaser — it was nominated for 10 Tony awards, including best musical — and Blickenstaff was terrific. The basic premise of the show: Two playwright brothers in Elizabethan London run a rival theater company to Shakespeare’s and are trying to compete with him for customers. The younger brother (and the real writing wiz in the family), is Nigel Bottom, played by Spitaletta. The older brother, Nick, the older and bossier one, hires a soothsayer to predict what kind of theater will be popular in the future. The soothsayer delivers this puzzling answer: Audiences will flock to productions that feature people singing and dancing through the story, as unlikely as that might seem. Spitaletta has known he was a comedian since age 7, when he discovered that burping the names of his family members was a big hit. 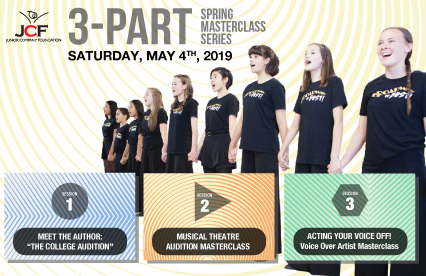 Later he learned he could sing well, and after a robust stint in a New Jersey high school playing roles as different as Jean Valjean in “Les Miz” and Old Deuteronomy in “CATS,” he auditioned and was accepted to Penn State’s prestigious musical theater program, where he earned a BFA. After graduating, he started landing roles in regional theater productions (including Jack in “Into the Woods”) before making two whirlwind audition trips from Columbia, Missouri, to New York for the non-Equity tour of “Rotten.” He’s been with the show since last August. It’s a big career break. It’s a great part with perhaps the best character arc of the cast. He even gets the love story. That changes when he meets Portia, a Puritan, and the two hit it off over their shared interest of poetry. Nigel begins to realize he’s a good writer, and with his newfound self-confidence, he feels more comfortable challenging his brother. Still, don’t get the wrong idea: It’s a comedy. A ridiculous one, at that. And as for the off-kilter depiction of Shakespeare: Hey, it’s not like it’s the first time the Bard’s reputation has been put through the wringer. Fact is, there are some out there who don’t believe he even existed. But if he did — and someone had to write all that stuff, right? — he’d have to chuckle at a song titled “God, I Hate Shakespeare.” That’s when you know you’ve really made it in show biz. ‘Something Rotten!’, a Broadway in Fresno production. 7:30 p.m. Tuesday, April 16, and Wednesday, April 17, Saroyan Theatre. Tickets are $34-$84.